You're In The Right Place! Let's Kill Some Gout! ​HELP! I'm having a​​gout attack now! ​​How do I stop future attacks?! ​​What Should I Eat?! Not Eat?! Hi There, I’m Bert Middleton, The Original Gout Killer! 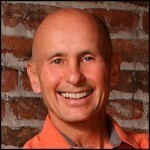 I've Helped 1000s Of People With Gout Overcome Their Pain. HELP! I'm having a gout attack now! Have you recently been diagnosed with gout? Or, have you been battling gout for a while now... and losing? If this sounds like you, great news, you've come to the right place. My name is Bert Middleton... I'm the original "Gout Killer"... and I know your pain! 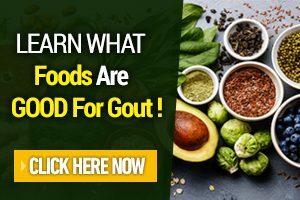 Over a decade ago, I was LOSING my own personal battle against gout until I discovered some simple secrets that helped me overcome the short-term pain... and then some lifestyle secrets that have helped me STAY GOUT-FREE for over 10 years now. And I wasted a lot of time and money on appointments, books, and over-hyped garbage remedies before I got to where I was able to predictably control my gout and keep myself living gout-free. So I decided that I wanted to HELP PEOPLE like you skip my painful learning curve, and get to the gout solution faster. And that's how TheGoutKiller.com came to be. Now run by me and my wife Sharon, in our spare time, evenings and weekends. You Don't Have To Be A "Gout Victim" Any More! 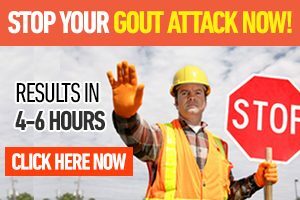 Get on the program Kill Your Gout Now, which gives you a 911 Emergency Response plan for getting the pain and symptoms of gout under control IMMEDIATELY! 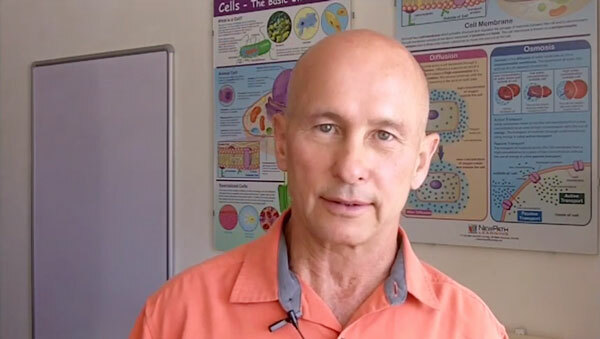 Both of these programs teach you the exact same strategies that I have successfully used to control my gout for over a decade now, as well as to help thousands of others control their gout. Not Sure You Have Gout? ​See REAL pictures of REAL people with gout. Sign up to get your FREE copy here. Stop Living In Fear Of Your Next Gout Attack. Let me guess – you’ve gotten too many gout attacks and the pain has become so unbearable, it’s brought you to tears . . . right? So much so, that now, with any little twinge of pain in your feet, (or elsewhere) it scares the hell out of you that it might be another gout attack coming on . . . ? And it’s not just the pain. Are you going to have to call in sick? Again? Will you be limping around on the sidelines of your kids soccer game in your slippers, having to explain over and over again that you’ve got gout? And face all the grins and smirks and jokes and chuckles? Are your partners going to understand when you have to cancel that high dollar presentation to the new clients because having you hobbling around up there in front of them, wincing and grimacing in pain, is NOT going to win you that new account? Will you be hyperventilating with pain in the hotel room while everyone else is at the beach? Or up on the ski slopes on a 22″ powder day? And to add insult to injury, you can’t even drink and party! After a few days of relentless pain, will you be able to STOP yourself from thinking about chopping your foot off just to get it over with? With the right information, you can stop being a victim of gout today. In just 2 to 4 hours, with some simple grocery items your probably already have, you can be back on your feet and back in the game. An overly acidic inner body condition. But when you know the right steps to take, the right ingredients, and the how-to to get it done, gout pain can be easily dismissed. And once that gout attack is in done and over, knowing what to do to keep it from coming back is what you need to know . . . and I can show you EXACTLY how to do all of that. You can get back to work, get back in the game, and be done with the pain and the embarrassment. 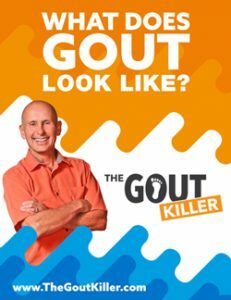 You don’t have to be sidelined by gout, you don’t have to lose any more money, YOU CAN BE running around the back yard playing with your kids, living life to the fullest, just like you did “BG” … Before Gout!